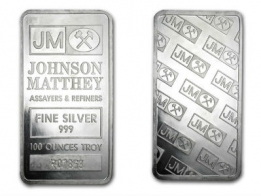 LBMA approved low premium 100 oz Silver Bar - type of our choice. 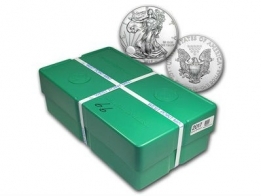 All bars sold are 100 oz silver bullion bars containing a minimum of 999 fine investment grade silver bullion. All bars are guaranteed to be supplied from an LBMA approved refinery, and the brand depends on our current stock. Other brands not listed above may also be provided. 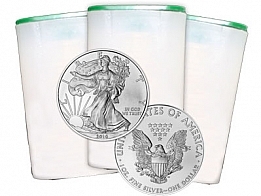 These 100 oz silver bars are the lowest premium silver bars that we sell. They are very popular among clients worldwide. 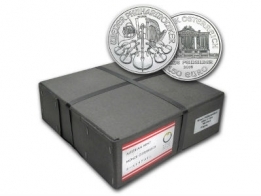 These low premium 100 oz silver bars can be purchased VAT-free for Swiss vault storage. 100 ounce silver bars are an excellent option for individuals looking to take a larger position when they buy silver bars, as they have a relatively low premium over the spot price. Please contact us to sell 100 oz silver bars.